The 2014 midterm elections will be here soon, and it’s time to start thinking about your nonprofit’s plan for registering, educating, and engaging voters. In this webinar we’ll discuss when, where, and how to incorporate voter engagement activities into your work. 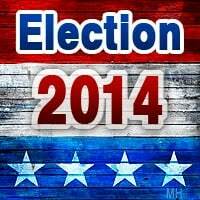 We’ll also help you develop and tailor a 2014 voter engagement timeline for your organization. Featured Presenters: Lindsey Hodel is Nonprofit VOTE’s National Field Director and has more than a decade of experience in public policy advocacy, community organizing, and nonprofit civic engagement efforts in the West and nationally. She also founded the Colorado Participation Project, a roundtable of direct service nonprofits engaged in client engagement programs. Julian Johannesen is Director of Research and Training at Nonprofit VOTE where he’s worked on a variety of projects including the development and delivery of training to 501(c)(3) nonprofits interested in nonpartisan voter engagement work.